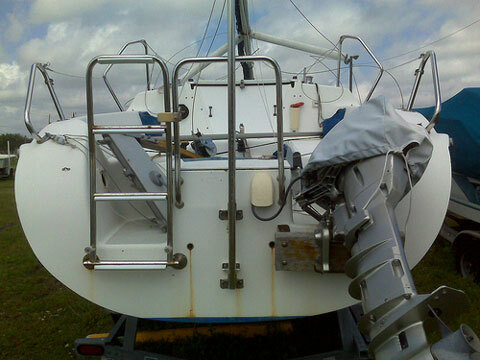 This is the swing keel, water ballast version that gives family camping size that can be hauled by mid size vehicles. It has a fuel efficient Honda 9.9 Hp. 4 cycle electric or manual start outboard. Custom large sunbrella bimini for cockpit shade, with sunbrella cover when folded up. 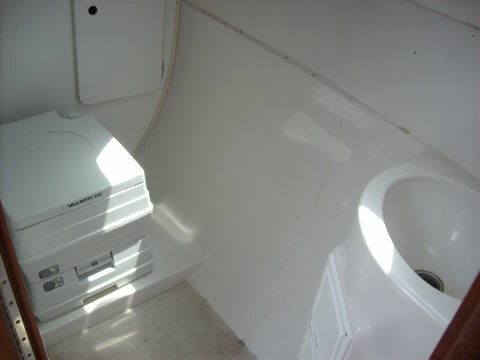 Enclosed head with porta potty and sink. Single propane burner and stainless sink galley. A propane stainless grill attaches to stern pulpit. The interior is a light blue breathable velour material. 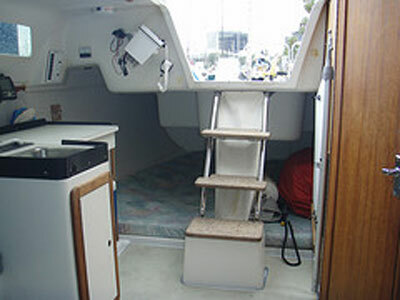 Ship to shore radio, and FM/AM/CD radio, and GPS autotiller. Anchor with chain and line is included. Roller furling jib with Sunbrella UV protection. New Sunbrella cover on the main. New genoa. 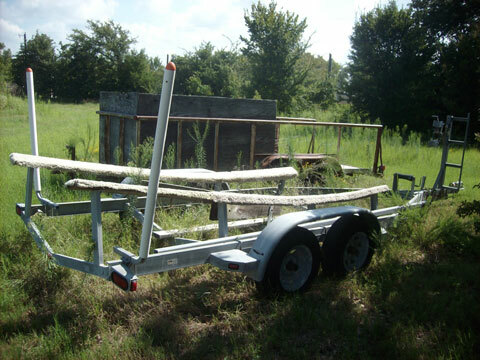 Factory tandem axle galvanized trailer, tongue extender, and mast raising/lowering kit. 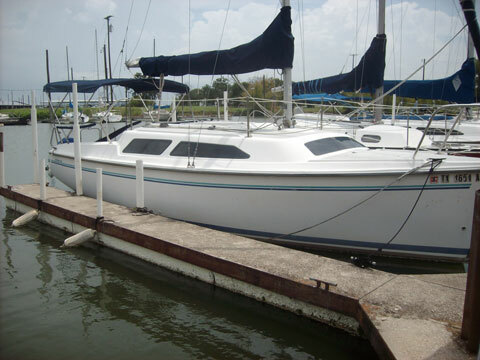 This is a very well equipped sailboat in great condition. Owner manuals for everything.